With Lumos Networks Digital Phone service you get the reliability of a landline and a crystal clear connection so you never have to worry about a dropped call. Plus, with our unlimited long distance bundle you get the freedom to call anyone in the continental united states and 30 different calling features like Voicemail, Caller ID, Call Waiting, Call Forwarding and many more. 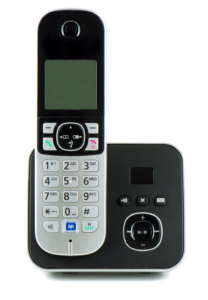 Lumos Networks Voicemail Messaging provides flexibility at a starting price of only $4.95. Forget the hassles of having to check your phone for voicemail messaging. Now you can have your voicemail sent to your email, so you can listen to your messages when you’re not home. You can also listen and delete messages from any touch-tone phone, decrease or increase the volume or speed of messages you are reviewing, replay the last 10 seconds of the call for important callback information, send messages for delivery at a time or date in the future, retrieve inadvertently deleted messages before you hang up, and many more features.